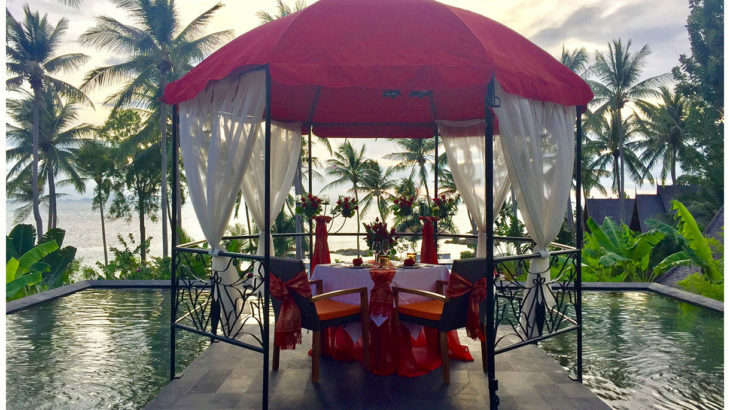 Kupu Kupu is truly a place for romantic dining. The choices of cuisine and views are unique. You are assured of having a unforgettable night out with your beloved, in front of our infinity pool and under a sky full of stars.. So come to enjoy one of the most beautiful & tasteful dinner on Koh Phangan. 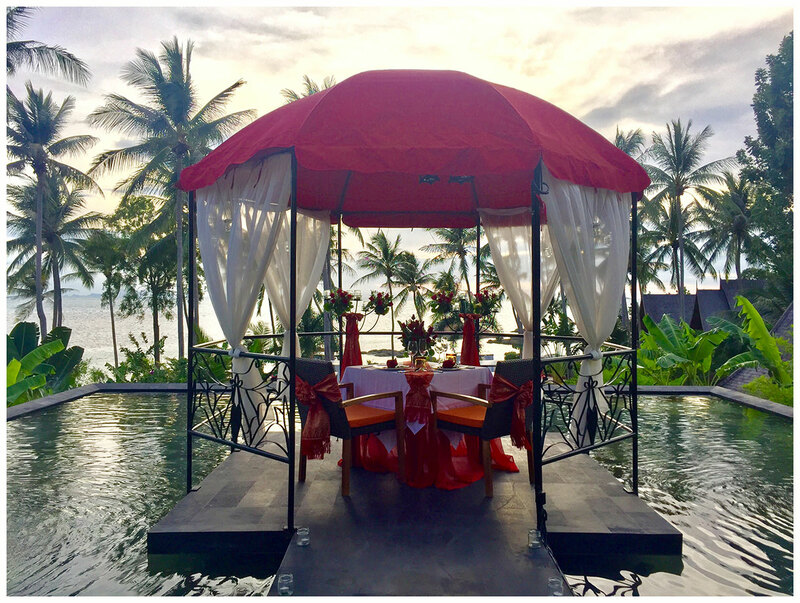 Feel free to contact us at guestrelations@kupuphangan.com for more information..
We also propose different kind of Romantic Dinner.